The vast diversity of Nevada offers many exciting educational activities for children. Whether you have a little one that enjoys the natural wonders of the desert or someone who would enjoy hands-on science activities, there is always something new to try in the state. Here are our favorite educational children’s activities in the state! Spring Preserves is an organization that is focused on the environment and sharing it with kids of all ages. This can come in the form of a short afternoon class on something like meteorology for a scouting badge or summer camps to explore the desert. Beyond the classes, they also sponsor events as well as hosting traveling science exhibits that are worth exploring. As a part of their on-going commitment to make art accessible for families, the museum opens its doors to the public for free on the second Saturday of each month. During this time, they offer hands-on activities for artists of all ages and family friendly educational tours. This is a dream day for any train lover. It's a full hour of driving an actual train on the wide open tracks across the Nevada desert. A once in a lifetime, hands on experience that doesn't get any more real. There is something magical about hand-on science for kids. This science outpost has houses some pretty neat exhibits on local environments and is open for tours most of the year. The Discovery Workshops can either take place on site or be scheduled to travel to larger groups via their mobile unit. They offer a revolving schedule of hands-on activities and projects for the whole family. Science escapes the stuffy lab and launches itself into camps and classroom activities for the next generation of scientists. These are the types of experiments that can start a love of science and build confidence in new learners. To encourage learning during school breaks of even over the summer, sign up for one of these science focused camps. Everything is tailored to be hands-on and interactive. 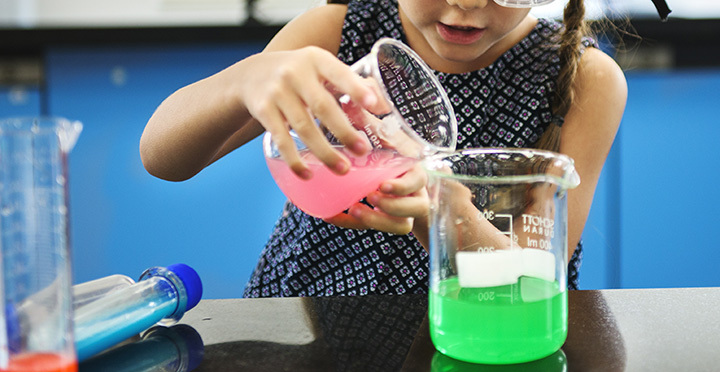 Campers are encouraged to use all of their senses to learn and explore science theories in the safety of a well-supervised group. Both the show and exhibits are worth checking out for any budding astronaut. They world view only gets bigger when we look at things beyond our own little bubble. The views are inspiring in a way only space can be.